Falmouth Gig Club hosted a great event on Gyllyngvase beach. 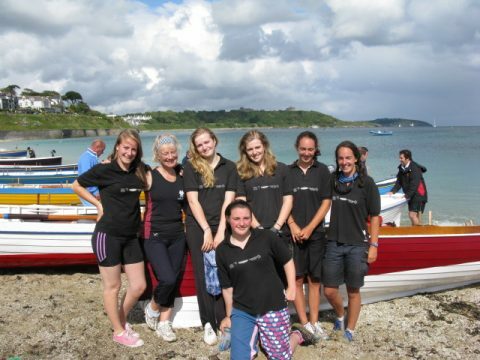 A top venue to showcase gig racing as it offers good access and easy spectating. 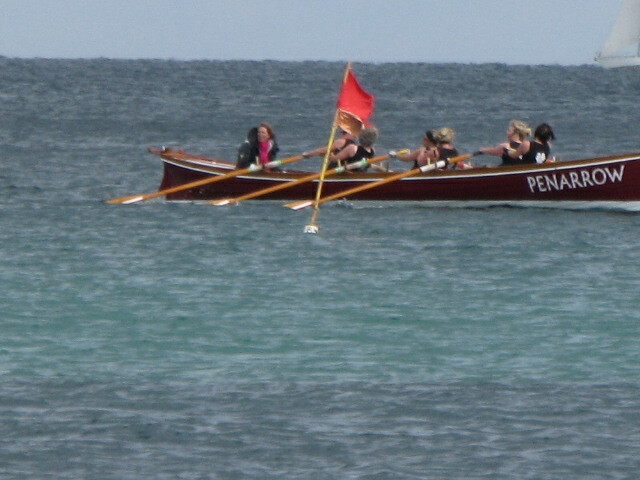 At times there were 4 heats running on the course at the same time, and being able to see the action from the road above the beach gave a vantage point that is hard to beat. 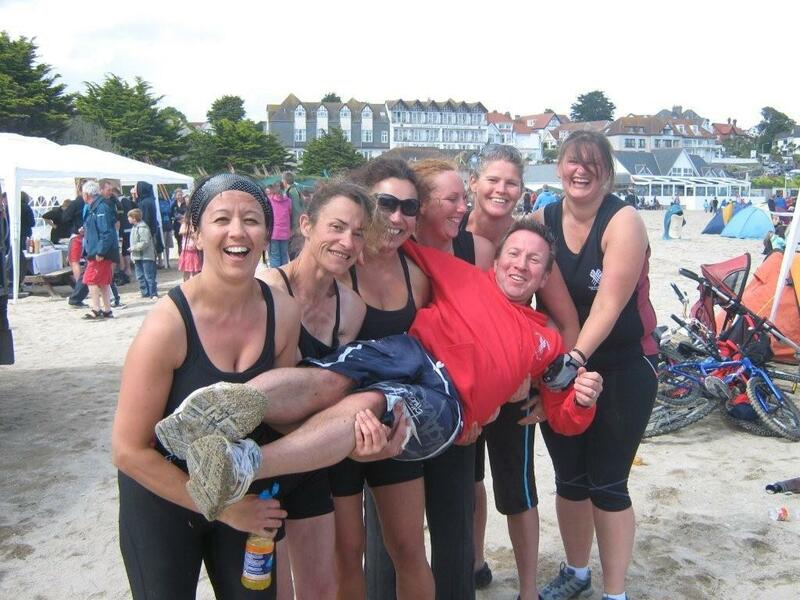 Flushing & Mylor entered 2 mens, 3 ladies, an U16 and a mixed vets crew. Lots of members having their first race experience and good to see so many new faces in the crews. The results will be available soon once published by CPGA / Falmouth GC and we’ll list them here. Well done to all those taking part, the weather came good in the end, seems Mr Blakes magic seaweed does work after all! Stand-out performance goes to the “U18s” Ladies C in Pinnacle winning their race by a good length from Fowey in “Lantic” (2nd over line) and Devoran in “Faith” (3rd over line). A powerful start from Faith saw them leading the large Ladies C fleet until about 1/2 way up the first leg but Pinnacle gradually reeled them in, establishing a clear advantage by the first mark. 3 smooth mark roundings helped to extend our lead and it was a question of finding and maintaining the relaxed rhytmn until the finish. An impressive, controlled and powerful performance, well done girls.